A California man is to face trial for the murder of his wife and unborn son whose remains washed up on a beach. Stanislaus County Superior Court judge Al Girolami ruled prosecutors had presented enough evidence for Scott Peterson to face the murder charges. 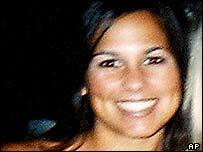 The decomposed remains of Mr Peterson's son and the headless and limbless body of his wife, Laci Peterson, were found in San Francisco Bay in April 2003. Mr Peterson could face the death penalty if found guilty of the charges. 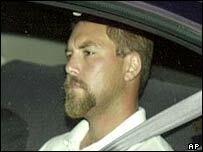 Scott Peterson - whose wife Laci disappeared while eight months pregnant - was arrested in San Diego shortly before the bodies were identified by DNA tests. The judge's ruling on Tuesday follows a month-long preliminary hearing to determine whether there was enough evidence for the case to come to trial. During the hearings lawyers for the prosecution successfully argued for the inclusion of DNA evidence from a single strand of Laci Peterson's hair found on a pair of pliers on a fishing boat that belonged to Mr Peterson. Mr Peterson's defence had argued the DNA evidence was flawed and alleged his wife was possibly kidnapped and murdered by a satanic cult. Analysts say the DNA evidence could prove crucial in the case against Mr Peterson as the rest of the evidence stacked against him is largely circumstantial. Experts have not been able to determine how Laci Peterson or her son died and it remains unclear whether she actually gave birth. There also remains no clear motive for the crime. Mr Peterson has admitted to having an affair but claims his wife had known and that they were trying to salvage their relationship. The case has sparked intense media interest in the US and has become a flashpoint for the abortion issue, as debate raged over whether Mr Peterson could be charged for the murder of a technically unborn child.